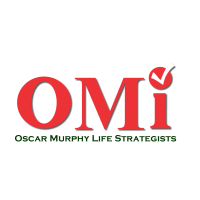 Learn the language of Personality through Assessments, Interpretation and Reflection, presented by OMI (Oscar Murphy Life Strategists) and Powered by The Assessment World. Your dominant world view, that influences every judgement you make in your life, is a mix of 4 different dimensions of personality. Understanding the extent of influence of these various dimensions is the key to unlocking your full innate potential, whether you are at school, at work, and even as a family. 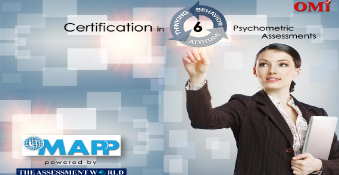 The objective of this program is to help you attain and utilize your highest innate skills. 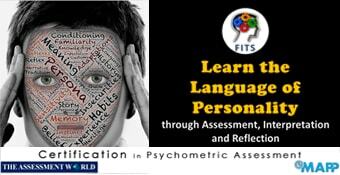 Whether you are a housewife, a student, a professional or a parent, FITS will help you to identify your current strengths, possible hurdles and the gaps between where you are now and where you have the true potential to be. 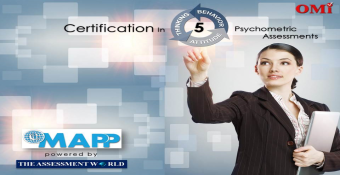 This will also help organizations, who are keen to utilize the strengths of their employees effectively and help them build on the areas they need improvement. The FITS Personality Style Assessment is designed and constructed on the scientific foundation of Swiss psychologist CARL JUNG’s influential work. It mirrors your unique personality traits developed as a result of HEREDITY. 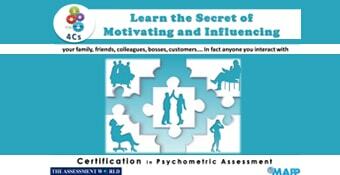 understand and improve relationships with your friends, family, colleagues, bosses, customers and clients. Individuals who would like to know themselves and others better. Consultants, Psychologists, OD Professionals, Managers, HR Professionals, Trainers, Educators, Counsellors, Coaches, Mentors, Students And Parents The Like. Personally, taking the tests raised my self awareness levels, and moved me from a place of “I know myself:"to “I need to keep discovering myself". This obviously woke me up to the fact, that the tools are constant reminders to where I am and also great instruments in helping me work on facets that are relevant to taking me where I want to be. Professionally, These tools provide a great impetus to me, as a coach and facilitator, in helping my clients on their journey of self discovery in a more substantial way. To have concrete figures help you understand the self better, always seems to be more convincing to the user. I do intend to use these more actively while designing my training modules, as also when working with my coachees. Another segment that I intend to explore is the student community pursuing professional courses. The case studies were evidently the real learning experience, since it was then that I began converting the theory into actual application. I must mention, that the detailed manner in which we were expected to analyse each case greatly helped in understanding and embedding the learnings. It also helped in identifying and filling the gaps. While working with the assessor, as the user of the tests, it also helped me to listen and hear the unspoken words and concerns, to help the user understand why they may have got certain scores and how to work on them, in terms of development activities. It has been a useful and enriching experience. Thank you Oscar Murphy.